Although the Los Angeles Kings and the New York Rangers have played 41 combined postseason games over the previous six weeks, they still have ample energy for the big finale to their epic playoff chase. When they meet at Staples Center on Wednesday night to begin the first New York-L.A. Cup final in NHL history, the Rangers and Kings are prepared for one more exhausting series in a spring filled with two-week sagas, nail-biting finishes and Game 7 heroics. No team in NHL history had made it to the Stanley Cup finals after going seven games in each of the first two rounds — until New York and Los Angeles both did it this spring. The Kings even went one longer, playing the maximum 21 games. Yet neither team will be satisfied without one more achievement. The Rangers haven’t won the Stanley Cup since 1994, while the Kings are just two years removed from their only NHL championship. Two franchises long familiar with losing have the chance to raise the Cup again, and the players already felt the energy building when they went through practices Tuesday. GOOD TO GO: Kings goalie Jonathan Quick said he’s fine after leaving practice a bit early Tuesday when he took a shot off his collarbone. Although the Kings are the NHL’s highest-scoring playoff team, defense-minded Los Angeles needs its franchise goalie in top form. Quick has won three straight Game 7s this spring, even if his statistics aren’t as impressive as they were in his Conn Smythe-winning season in 2012. The Rangers can’t expect Quick to help them out the way he did in New York’s only previous trip here in October, when he knocked Ryan McDonagh’s long clearing attempt into his own net during a 3-1 loss. NO CAPTAIN, MY CAPTAIN: You won’t see a “C” on a blue shirt this series. If the Rangers win the Stanley Cup, they don’t have a captain to raise it after trading Ryan Callahan in March. That role is being played unofficially by Brad Richards, a healthy scratch in last season’s playoffs and a potential salary-cap casualty this summer. But the 2004 Conn Smythe winner, who flirted heavily with the Kings in free agency in 2011, is back in form this season. The Rangers likely need his resurgent offense to win that Cup. DEWEY THE GREAT: Even after strong offensive efforts by Marian Gaborik, Anze Kopitar and Jeff Carter, the Kings believe their most dynamic playoff performer has been Drew Doughty. The inexhaustible defenseman is looking to add a second Stanley Cup title to his two Olympic gold medals, and he’s the current favorite for the Conn Smythe Trophy as the playoff MVP. Casual hockey fans who might not understand Doughty’s two-way brilliance should be in for a treat. 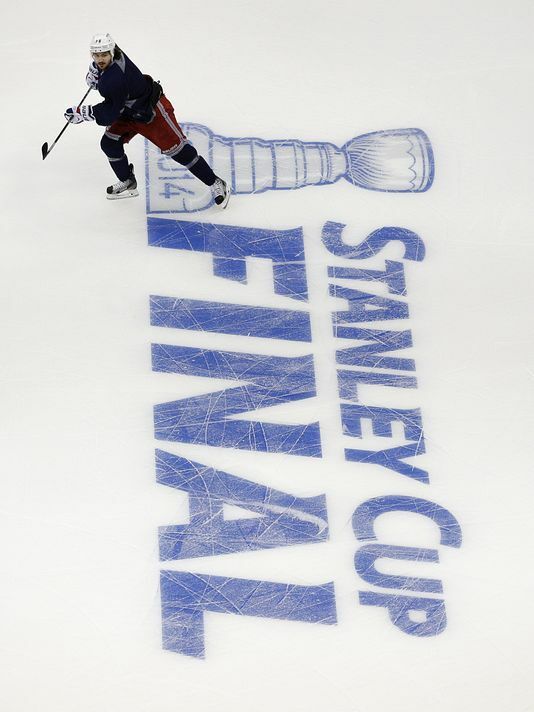 You are currently reading Rangers, LA Kings ready for big Stanley Cup finish at ARE YOU NEXT.